Swinging, rolling or sliding shutters, their aesthetic is today associated with technical performance. Best for renovations, the swinging shutters offered by Rafflin Alu & PVC are available from 1 to 4 doors window or French window, either rectangular or curved and placed on hinges to fit the existing locations. 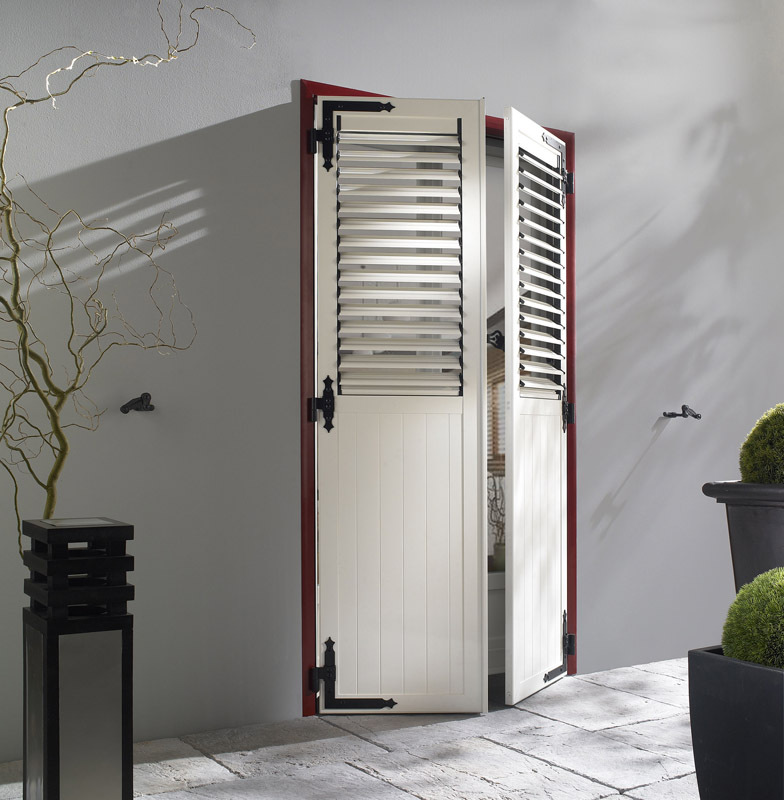 Our custom shutters are suitable to the climate and architectural environment of the Gulf of Saint-Tropez. made with a high density insulation panel and perforated or semi perforated shutters, supporting the passage of air. Our different closure options are designed to provide security needs and adapt to the variety of window locations. All shutters are built on existing hinges, replacing the hinges or pre-aluminium frame door with 3 sides for a clean finishing touch and a better insulation (eligible for the tax credit). Aluminium swinging shutters : Unalterable and resistant to corrosion and UV. Stable over the years, the safest and most insulating. PVC swinging shutters : Cheap and very good insulator. Disadvantage of fragility. Wooden swinging shutters : Traditional material par excellence. All components are treated as Class 3A (rot proof, fungicide, insecticide treatment) and water-repellent. Large choice of patterns and finishes. To meet the different needs of construction or renovation, we have selected various models of rolling shutters according to your home. 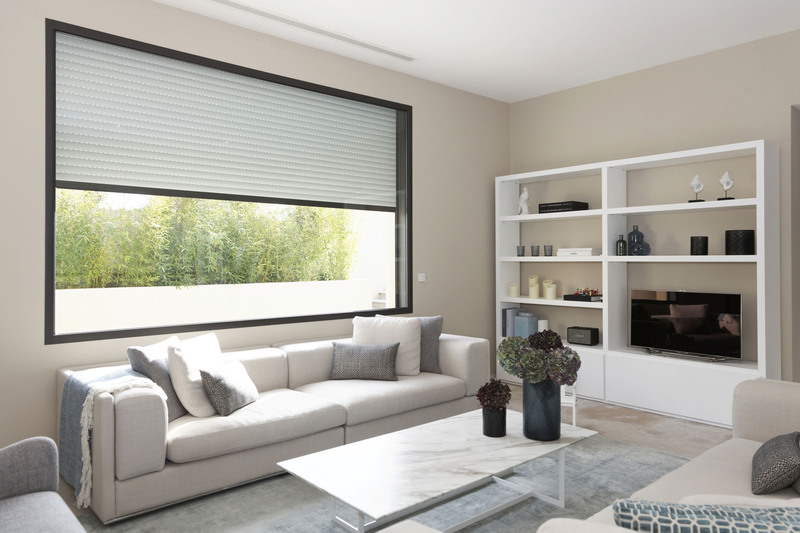 Depending on requirements, we offer integrated shutters to the structure and invisible in raised position, external boxes tailored to renovation, berries-blocks including the shutter and the window or roof shutters for a better loft insulation. Each product is available in different colours and patterns to suit the architectural guidelines and design of your home. Aluminium rolling shutters : Ideal for large dimensions because of the strength qualities and lightness of the material. PVC rolling shutters : Cheaper and easy to maintain, they have good insulating properties. Wooden rolling shutters : To replace identical material. Suitable for all sizes of windows and bay windows, sliding shutters now offer an aesthetic added value, dressing facades with an invisible rail. In case of renovations, the frame will mask the locations of old hinges. Some ranges presented by Rafflin Alu & PVC are also available in motorized version and may include a timer.